1Combine all the rub ingredients and rub all over the surface of the ribs, even underneath. Cover and refrigerate for an hour or up to a day. (If you want to skip the rub, just sprinkle the ribs with salt and pepper and cook them right away.) Keep any extra rub in an airtight container – it will last for about a year before it starts to lose its punch. 3Preheat the oven to 300°F. 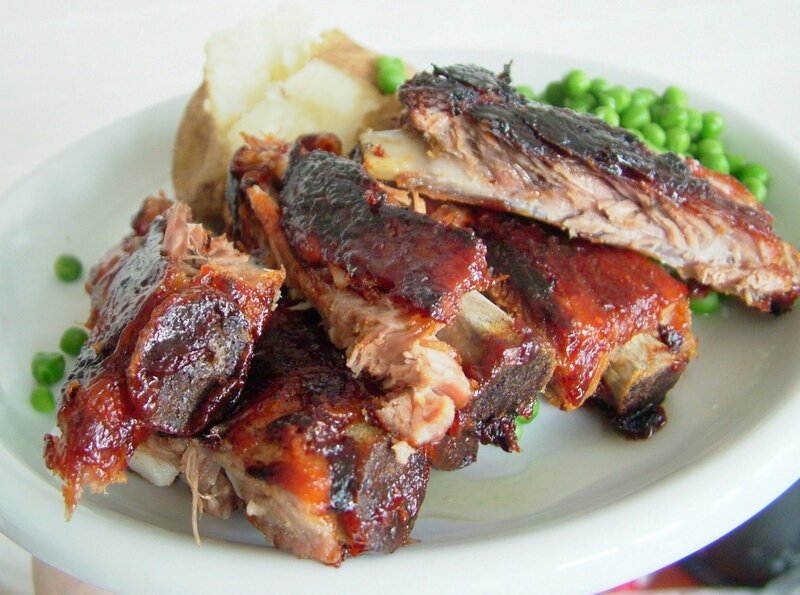 Place the ribs meat side up on a rimmed baking sheet, and cover the pan completely with foil. Bake the ribs for 2 hours. Remove the foil and slather the ribs generously with barbecue sauce. Crank up the heat to 400?F and roast for another half hour, until the meat is very tender. (Alternatively, finish them on the grill - the ribs can be pre-roasted and refrigerated for up to a few days before finishing.) Serves 6-8.